Everyone loves strawberries. And, just about every gardener loves to reap the sweet harvest of home-grown, plump, sweet, delicious strawberries each year. Once a green thumb has decided to begin Growing Strawberries, the next step is procuring plants. In today’s internet-connected world, a gardener doesn’t even have to leave the back yard to obtain strawberry plants. They can be ordered right from any computer. To help those who want to get the best online deal, Strawberry Plants .org keeps a comprehensive directory of the varieties and suppliers who will mail plants directly to your door. The full list is here and easily browsed by variety: Buy Strawberry Plants. But, not everyone wants to buy online. For those who want to find a bricks and mortar location where you can drive up, pay, and carry away as many strawberry plants as you desire, or if you’d like to see what goes into a successful strawberry operation by finding one to visit in person, this page is for you. 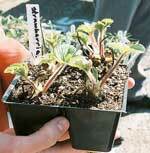 This main Strawberry Nursery page serves as a directory for strawberry nurseries. This directory seeks to be as comprehensive and all-inclusive as possible. So, if you are aware of a strawberry nursery or other location that offers strawberry plants for sale, or if a new strawberry operation is set to open its doors in your area in the future that is not already included in the directory, please let us know about it by emailing or leaving a comment below. The strawberry nurseries or strawberry farms are listed below in alphabetical order by state. To jump directly to your state, click the two-letter state abbreviation in the first table. Doing so will take you to a table with all the known strawberry nurseries in your state. Contact information and other information should be listed with each one. Phone: (870) 347-2026 or (501) 724-5630 Ghesquiere Plant Farm, Ltd.
Fax: 209-357-7042 L.E. Cooke Co.
sales@lecooke.com Ekland Marketing Co. of California, Inc. Phone: 530-223-1075 L.E. Cooke Co. Phone: 1-800-831-4125 Sherman Nursery Co.
Lansing, MI 48909 Rambo Inc.
New Jersey Small Fruits Council Inc.
Albany, NY 12235 New York State Fruit Testing Cooperative Assoc. Inc. Toll-free voice mail for catalog requests only: 1-866-600-5203 Turnbull Nursery Inc.
Fax: 919-497-8536 We Gro-Rite, Inc.
Email: Hilltopberry@yahoo.com Pennsylvania Dept. of Agric. Fax: 931-474-3387 Greenwood Nursery Inc.
Fax: 1-800-551-6712 Vermont Dept. of Agric. Berwick, Kings County, NS P0P 1E0 Belamore Farm Nursery, Ltd.
Saint-Laurent, I.O., Quebec O0A 3Z0 Harry Ghesquiere Farms Inc.
H.B. Morse & Sons Ltd.
Kemptville, Ontario KOG 1JO Pepiniere Luc Lareault Inc. Growing your own strawberries can be fun for all ages. So, if you have chosen to buy strawberry plants locally from a farm near you be sure to check here for the closest one! There are many tissue culture labs in India, some of which are producing strawberry plants. Our sister company is located in East Africa and some of the tissue culture labs that we work with outside Africa do produce strawberry plants. A little research on the internet should provide you with several results. Once you find a lab or two, contact them and they will be able to help you with securing plants and the best methods for growing them in your country. There are several factors to consider when growing strawberries. 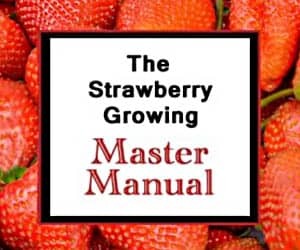 I would recommend you start by reviewing the Growing Strawberries reference page. If you are able to follow those guidelines where you are located, you should be able to grow them. If not, growing them will be difficult for you. Hopefully that helps, and good luck!